There is also a shopping area with proceeds going to the walk. All donations collected from this event will be given directly to NDSS. They will be used for supporting the National Down Syndrome Society’s education, research and advocacy efforts on behalf of the more than 400,000 individuals with Down syndrome in the United States. 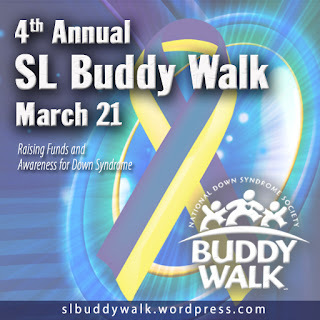 JLZ Designs and Home by JLZ has shops here and 100% of our sales will go to the Buddy Walk.